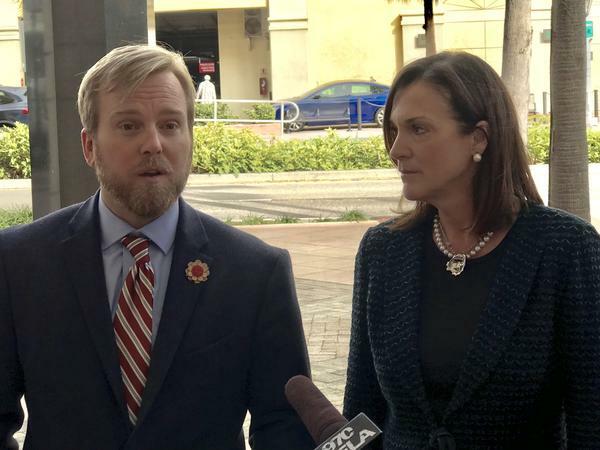 Rep. Jamie Grant, R-Tampa, and Sen. Dana Young, R-Tampa, proposed SB 1200 and HB 535 to create the "Statewide Alternative Transportation Authority." New bills filed in the Florida House and Senate would create a "Statewide Alternative Transportation Authority” and repurpose $60 million out of an existing rail fund to fund alternative transportation projects - such as "Bus Rapid Transit" and autonomous vehicles – starting in the Tampa Bay area and Miami. "I don't think we can lay track to get ourselves out of the problem. I don't think we can build roads to get ourselves out of the problem,” Grant said. “I think what we need more of in Tallahassee, and in all levels of government, is asking ourselves, how can we use the existing resources and infrastructure we have more efficiently before we take tax dollars to build more infrastructure and resources?" Grant is also in favor of exploring more ridesharing options to help locals navigate increasingly congested traffic. Sen. Dana Young, R-Tampa, said the $60 million will be divvied up around the state, starting in the Tampa Bay region and Miami. "$25 million would be dedicated to (Tampa Bay Area Regional Transportation Authority) TBARTA,” Young said. “$25 million would go to Miami Dade County, and the remainder would be used throughout the state and will be allocated to various projects that are ranked by (the Department of Transportation) DOT." The state funding would be contingent on getting local matches from counties participating in TBARTA - Hernando, Hillsborough, Manatee, Pasco, and Pinellas Counties and in Miami-Dade County. But Grant and Young reiterated several times that they don’t think rail is the way to go, and TBARTA chairman Jim Holton agreed. Grant said it's a lot of money sunk in something that may or may not develop the ridership. “What we're saying here is how can we harness things that even if they fail, advance the ball forward for the transportation community in an innovative way,” Grant added.